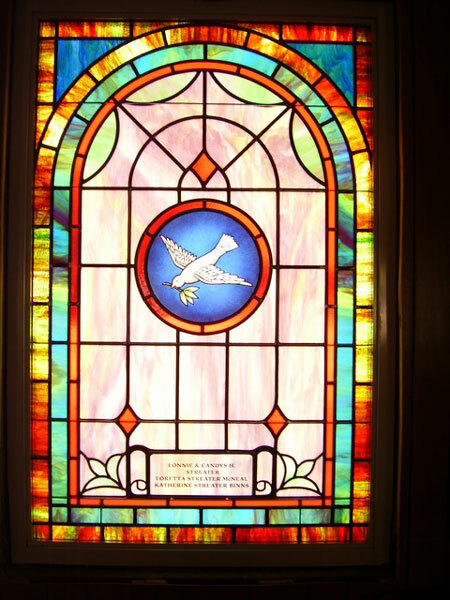 Opalescent glass may have from two to five colors mixed together in one piece of glass. 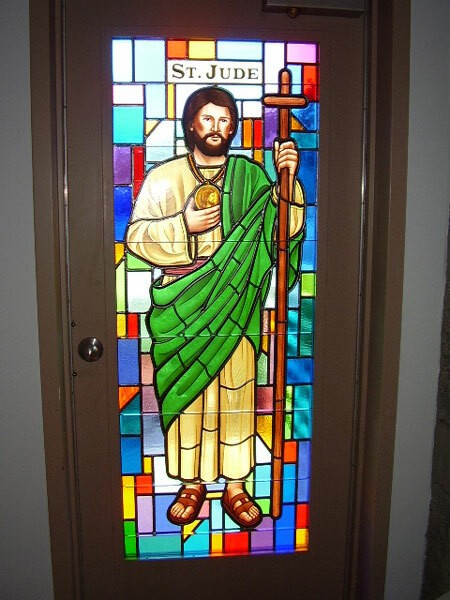 This type of glass contains a white opaqueness that does not allow for one to readily see through it. 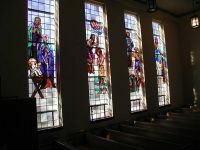 Hand-stained pictorial scenes are also common on this style of windows. 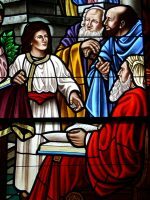 Lead cames (narrow strips of H-shaped lead) are used to hold the glass together, which is the same way with cathedral glass. 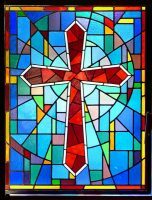 We also supply light boxes, which works well with opalescent and cathedral glass. 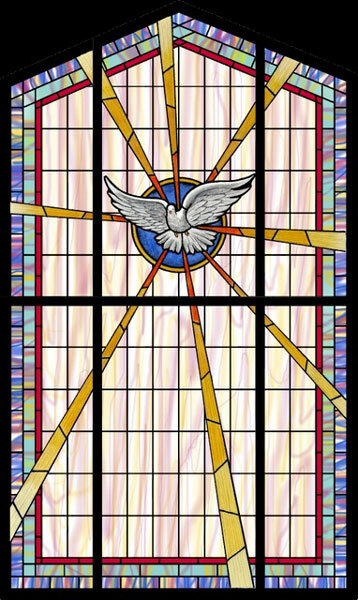 Cathedral (double roll) glass is transparent glass that normally contains only one single color. 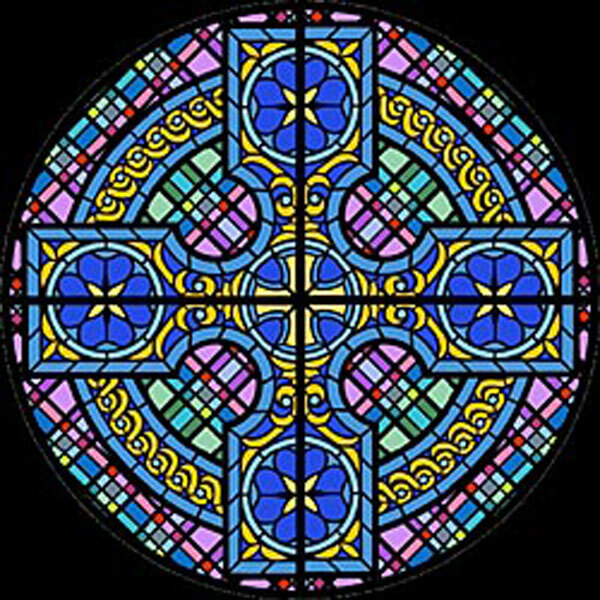 Hand-stained pictorial scenes, memorial plates, and symbols can be incorporated within cathedral windows. 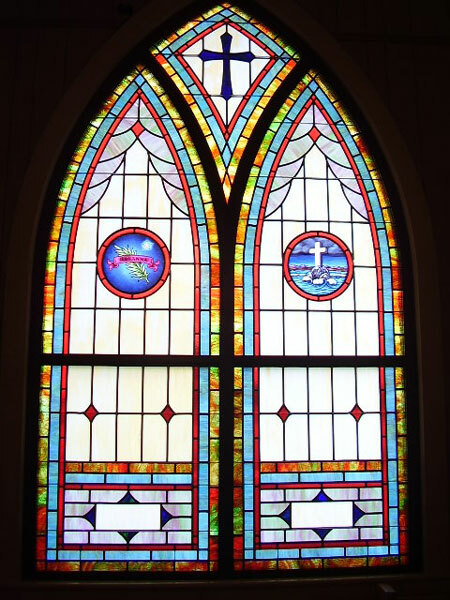 Hand-stained glass is, as the name implies, stained with a black or reddish brown paint. 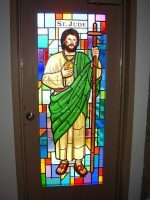 The skilled artist takes a piece of colored cathedral glass and applies a layer of stain to it, then taps a brush to remove the stain from the areas that are to be highlighted. 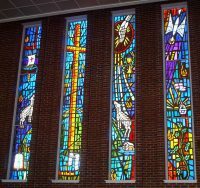 After about 30 minutes of the glass baking in the kiln (between 1200 to 1300 degrees Fahrenheit), the stain then becomes permanently integrated into the glass. 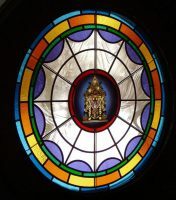 Accessories including symbols, memorial plates, and pictorial scenes may be designed into this style of window. 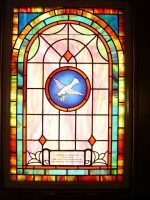 This type of leaded glass is used to create pictorial work that is magnificent. 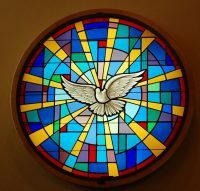 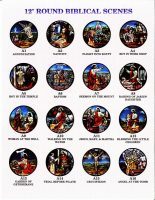 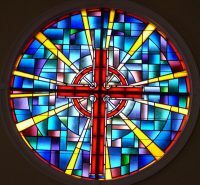 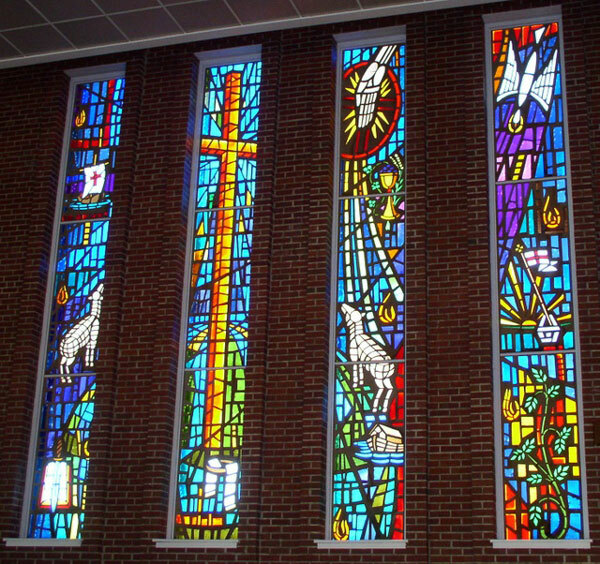 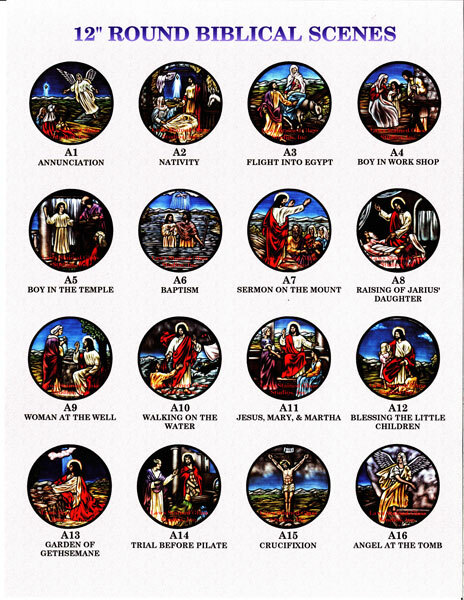 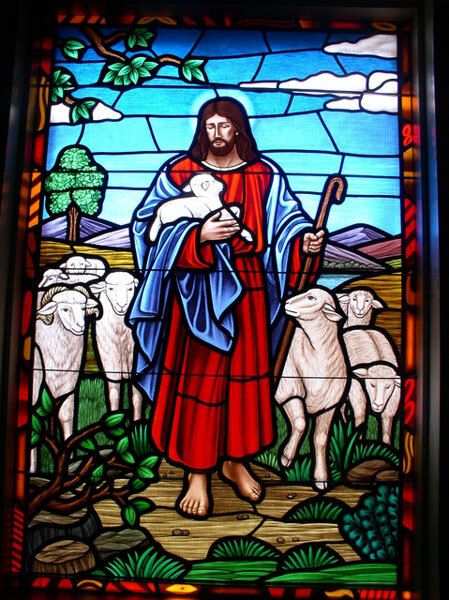 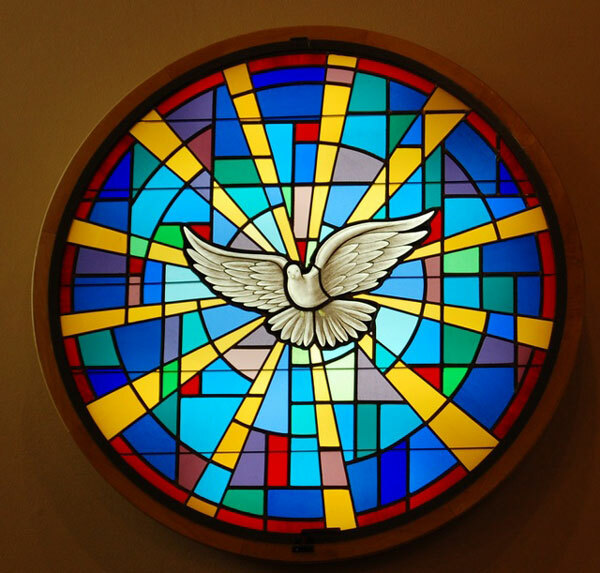 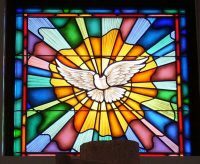 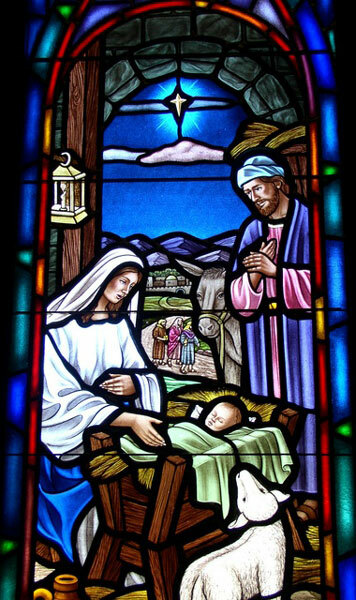 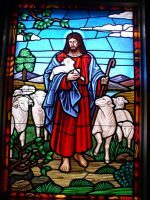 We provide an array of designs depicting the life of Christ or any type of window can be created to suit your facility's needs. 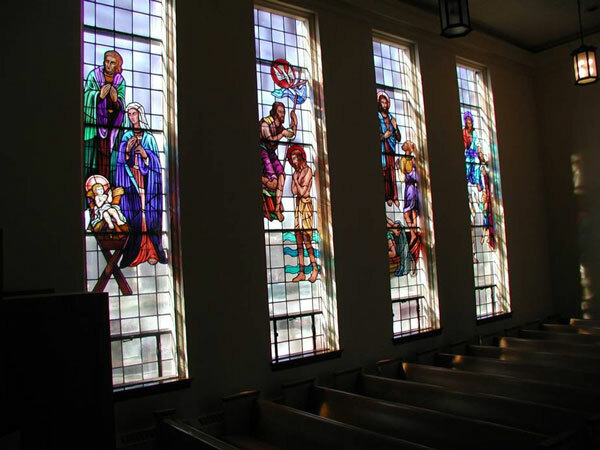 Faceted glass is very distinct from leaded glass, as the surface is chipped or faceted and is an inch thick. 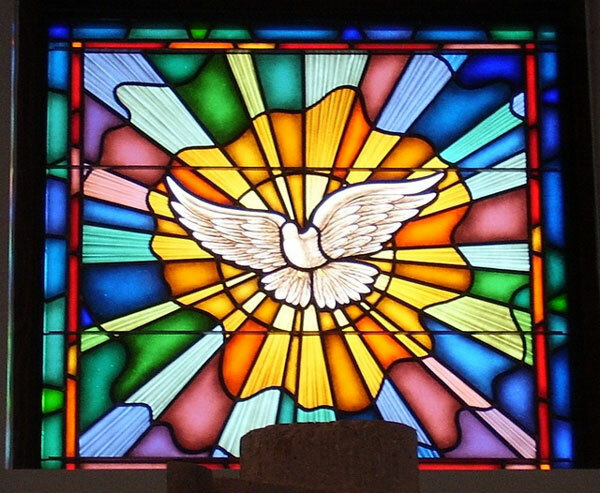 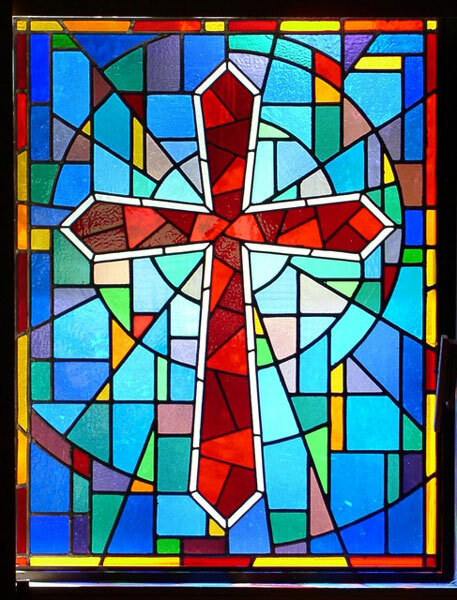 Other types of stained glass use strips of H-shaped cast lead (called cames) to bind the glass together, an epoxy (a cement-like substance) holds faceted glass together. 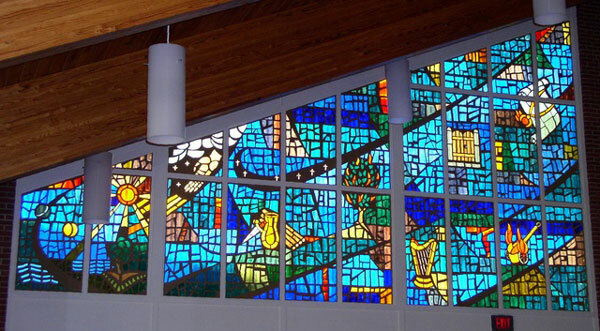 Epoxy does have an advantage, as the spaces between the pieces of glass can vary. 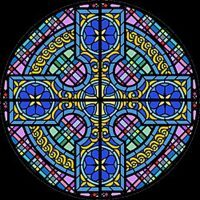 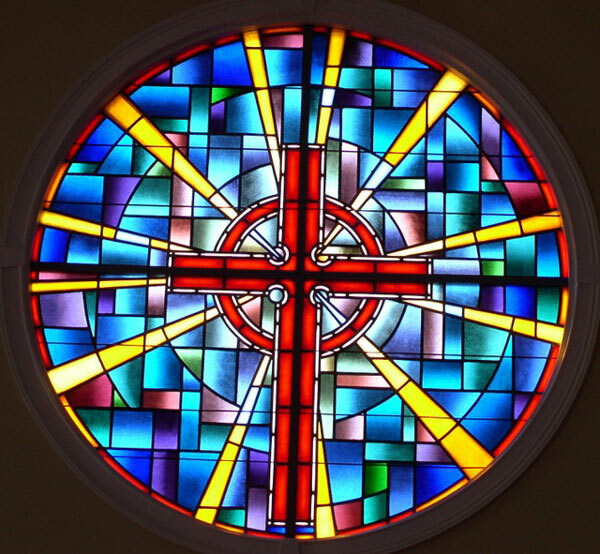 Church Interiors provides restoration services for existing stained glass windows that are bulging, cracking, sagging, or just need a good cleaning. 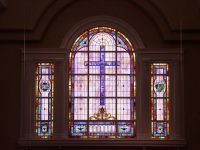 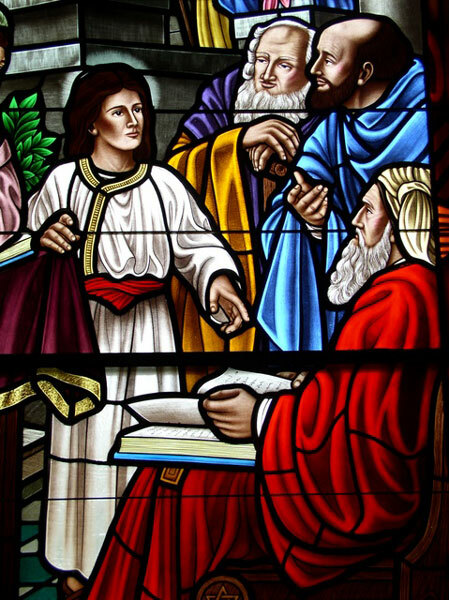 Your church stained glass windows will look as good as they did when they were first installed. 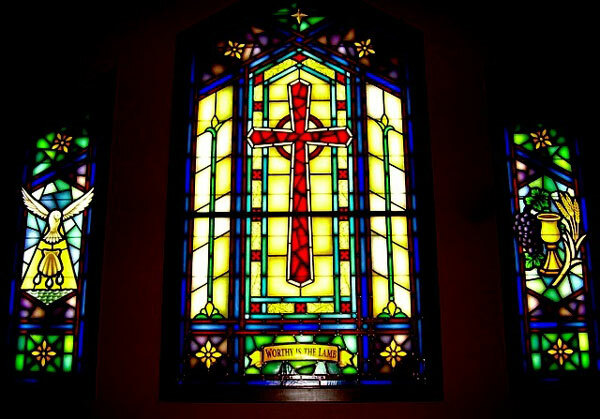 Our expert craftsmen can match old broken glass, relead, and clean your windows. 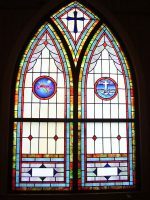 Protective coating is also available to protect valuable windows from flying debris and outside elements.